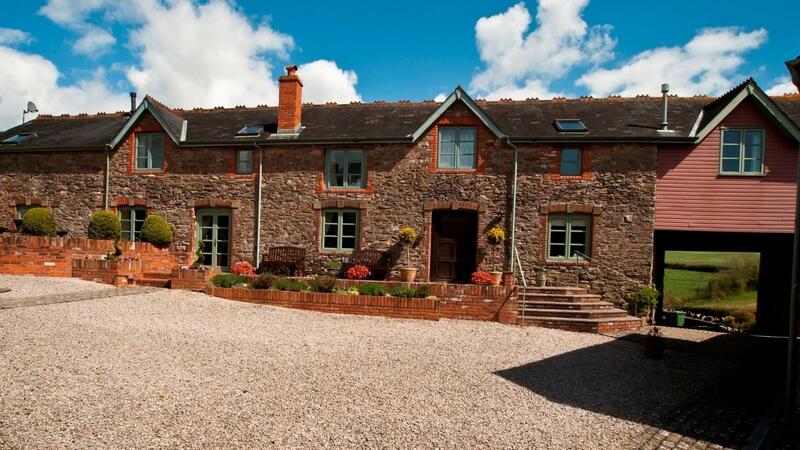 This holiday barn is in a fantastic location for a family holiday in South Devon. With stunning coastlines and beautiful beaches only a short distance away (Torquay is 3 miles) along with a variety of activities and entertainment on your doorstep – there is something here to keep everyone happy. Take a look at the Tots Top 10 for some fantastic family fun days out, including railways, caves and zoo’s! With the English Riviera having more attractions than any other resort in the UK, we’re pretty sure you won’t be bored! And when it’s time to come ‘home’, sit back and relax and enjoy your surroundings in this 4 star Gold cottage. 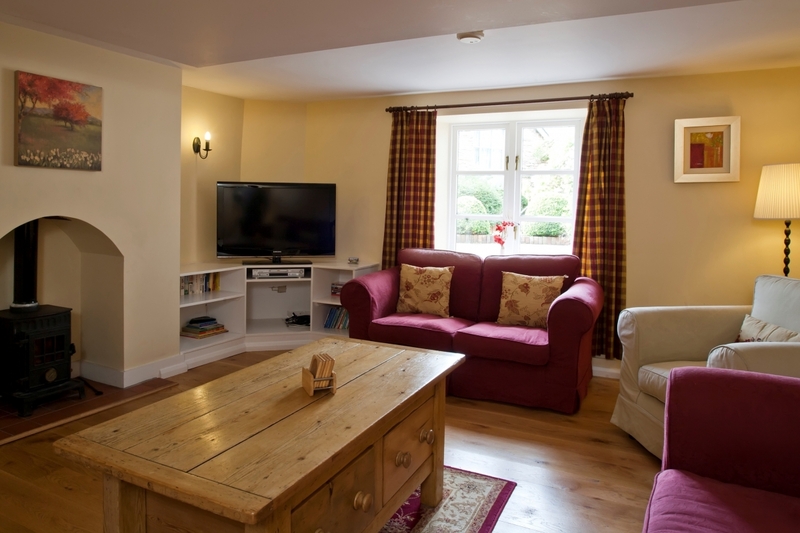 The cottage is very spacious and there is enough room for everyone to enjoy their own area. 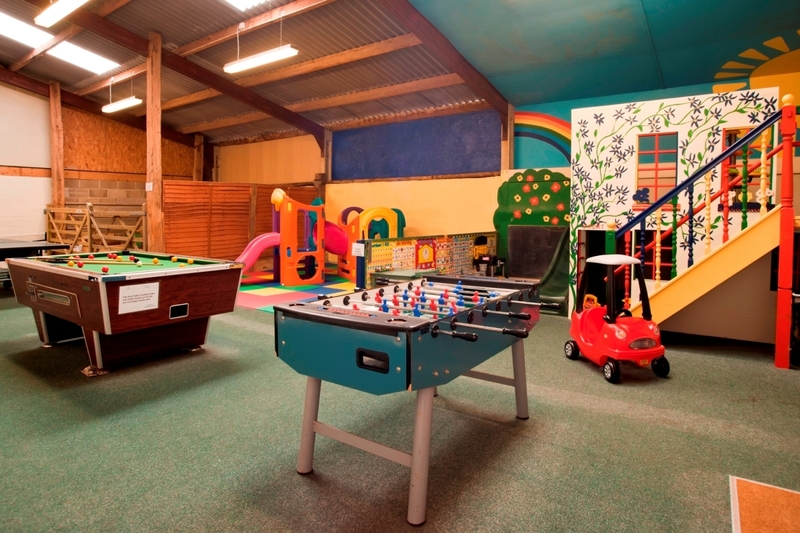 The children will love the play barn with two-storey play house and toddler’s zone with climbing equipment and for slightly older children, the table tennis and pool table. 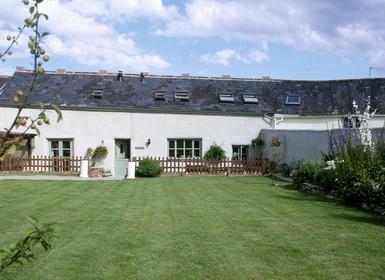 The gardens are large enough for ball games and the trampoline and adventure play equipment will get a lot of use. The indoor heated swimming pool has changing rooms and toilets, there is a travel cot in there too so little explorers can be kept safe. 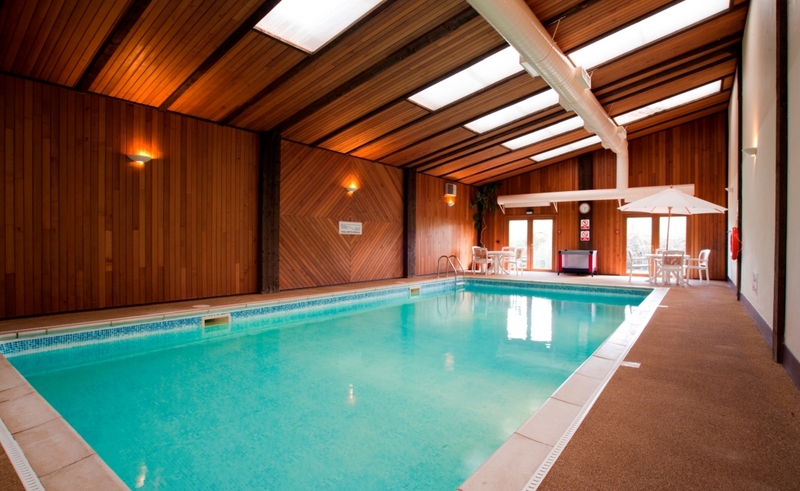 The hourly booking system also allows families to have exclusive use of the pool so the little ones can enjoy a splash around with family. 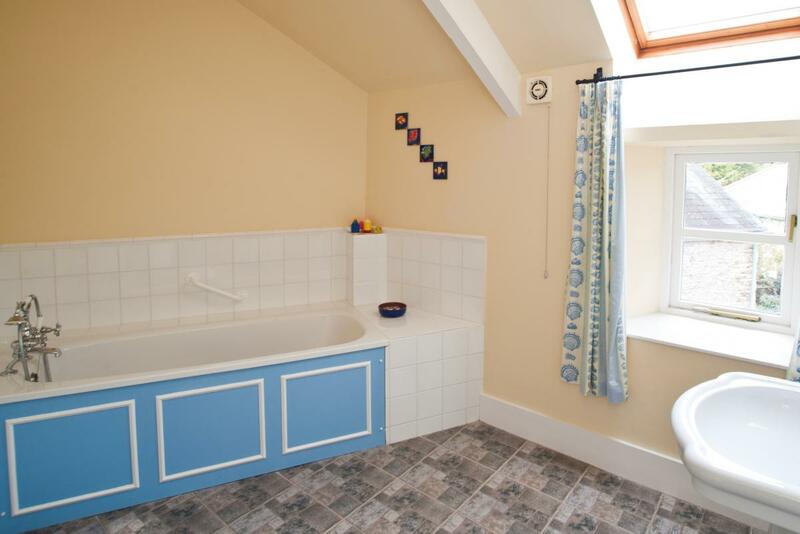 The cottage is fully equipped for little ones so you will have access to all the essentials such as stair gates, travel cots and high chairs. Please discuss your requirements with the owners. 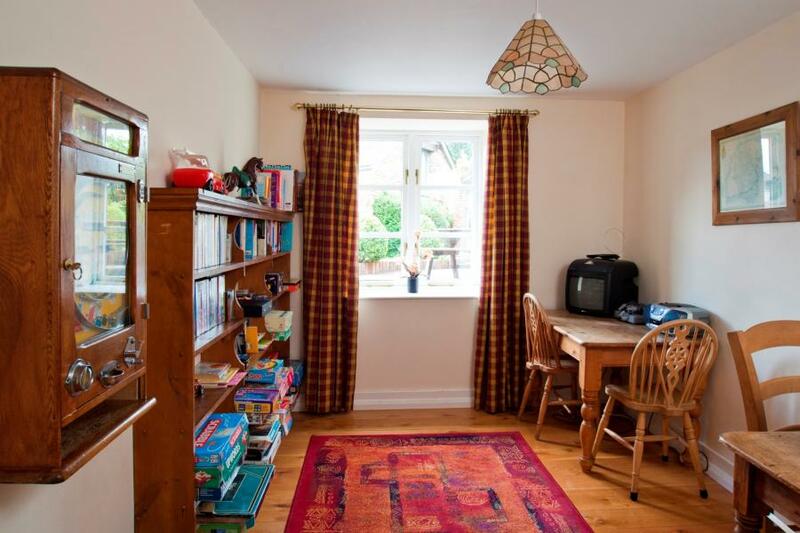 This large child-friendly property is very spacious, with enough room for sleeping 13 plus cots. 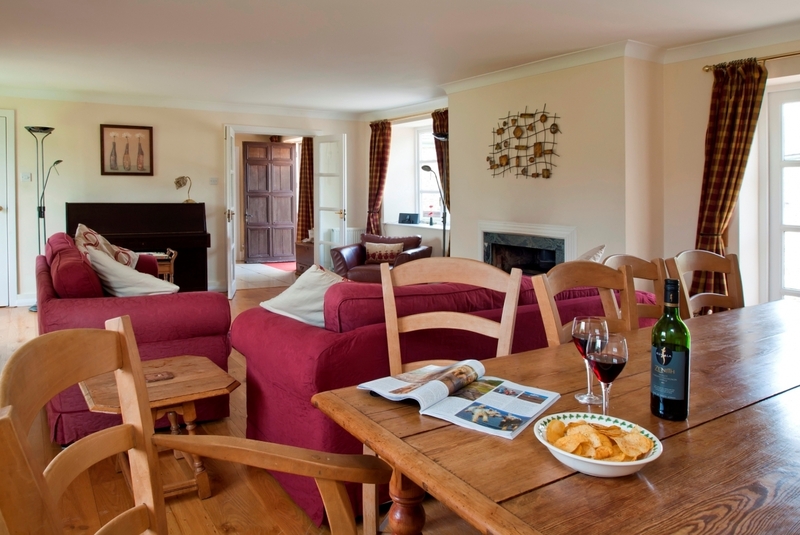 Downstairs there is a large sitting room with wood burning stove and French doors out onto the garden. There is a second large sitting room as well as a children’s playroom and a fully equipped kitchen. 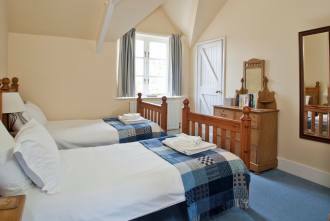 The six bedrooms are arranged as a super kingsize room with en-suite shower room, a king size room with en-suite bathroom, a twin room with en-suite shower room, a family room with twin beds and bunk beds, a twin room and a single room. There are another 2 bathrooms in the property too, plenty of space for everybody! We have changeover days on Friday during school holidays and Monday and Friday during the rest of the year. 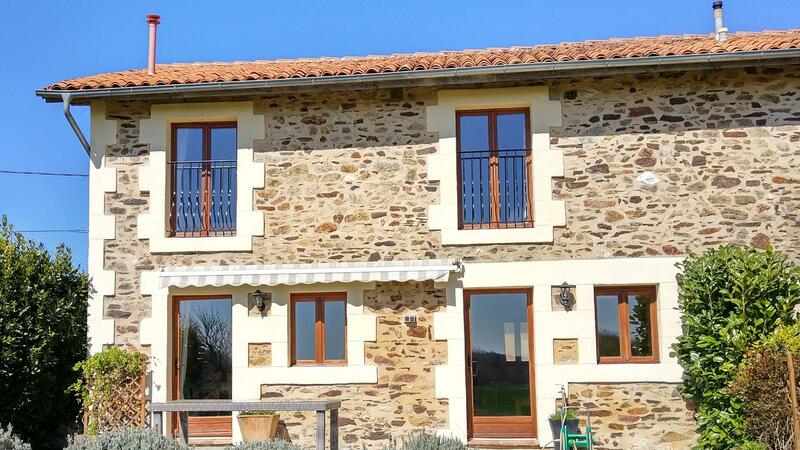 3 bedrooms with en-suites plus 2 family bathrooms. 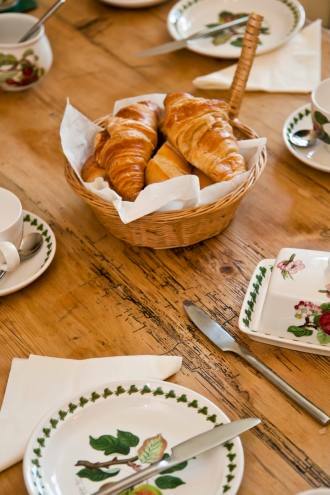 Paignton Zoo - Family friendly zoo, petting corner, animal feeding, seating areas, café and a shop (you can also take in your own food) 4/5 miles from the cottage. Living Coast - Torquay Coastal Zoo - more aquatics; penquins, seals etc. You can also get a joint ticket to make savings. 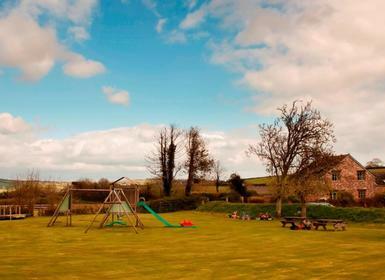 Pennywell Farm - Brilliant petting farm with structured activities every half hour from feeding lambs, brushing miniature ponies, milking goat, pig racing and displays in the summer. South Devon Steam Railway and Great Western Steam Railway - Excursions, special Santa specials, Thomas days. 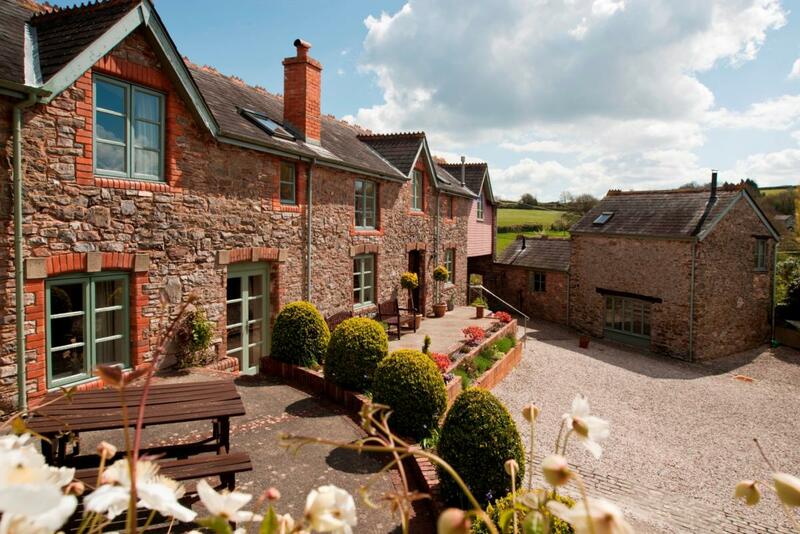 National Trust - There are a variety of activities to include: Agatha Christie Greenway D’Oyley Carte Coleton Fishacre Compton Castle Saltash Buckland Abbey All provide activities for children throughout the year. Beaches - Torquay, Paignton, Goodrington, Blackpool Sands, Slapton - Some have red sand, some golden, some have pebbles and sand when the tide is out. All have cafes nearby and clean toilets. 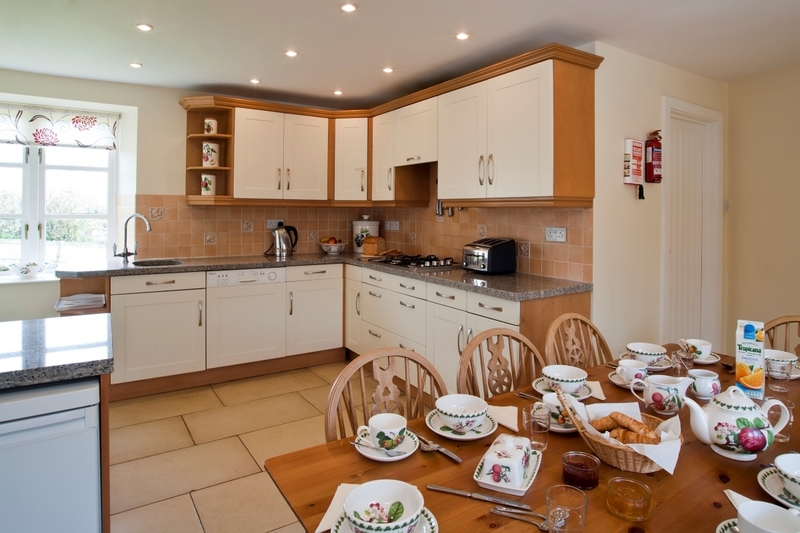 Dartmoor - Lots of walks starting and ending at tea rooms with toilets. Whether following a river or for the more adventurous climbing the Tors. Crealy, Woodlands and Go Ape - Theme Parks all within 30 mins from Barns. Exeter - Great shopping, Cathedral and a lovely walk/bike ride along the river. 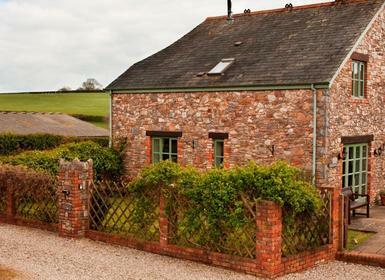 A great family-friendly property for a holiday away near to the English Riviera, with a heated pool and play barn and lots to entertain the kids.